Both finance lease or operating lease available both in the UK and Europe! GSE finance available throughout UK & Europe. Oak has the ability to provide either finance or operating leasing throughout Europe. This is done efficiently, discreetly and professionally. With one single point of contact to cover the whole of Europe. Airport equipment leasing and airport equipment finance is crucial to any growth for an ambitious airport. With airport equipment costs rising, it is vital to acquire the latest efficient equipment. The move to climate smart technology, will increase pressure on Capex. 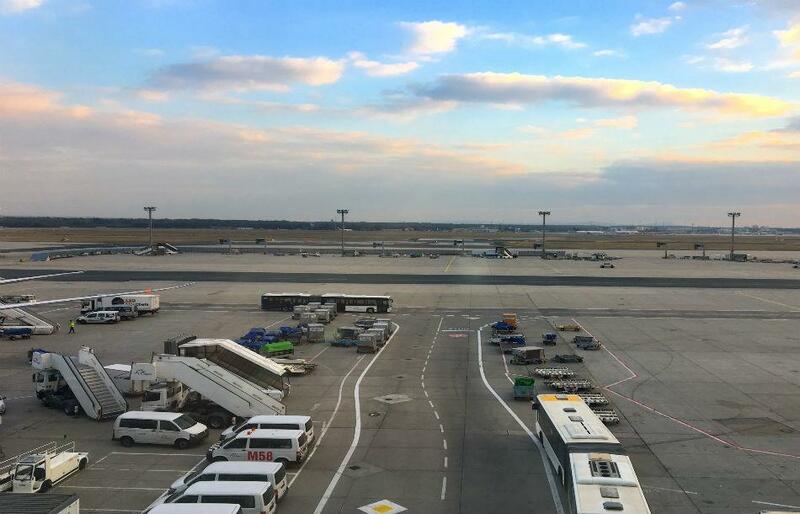 Certainly the ability to arrange airport equipment leasing and finance throughout most of Europe has proved to be a valuable asset to many airports and GSE suppliers. Any company who has a pan European footprint will require at some time , an additional European funding source. Both GSE equipment suppliers and manufacturers have found that an alternative source of funding is very sound business sense. Coupled with the ability of either finance or operating leasing, it covers all the options. Similarly local funding is either at capacity, or unable to cross borders. Oak has the ability to step in and arrange alternate funding. Furthermore, this is done efficiently, discreetly, and professionally throughout Europe. With one single point of contact to cover all of Europe, it is hardly rocket science! Climate smart equipment with low emissions will be the main driver for all airports in the coming years. Emission taxes for aircraft are on the increase, and is is simply just a matter of time before this will effect airside GSE equipment. GSE equipment leasing will enable firms to be ahead of the curve, as climate smart technology will force airports to review what equipment they have airside. Crucial items now require to be changed sooner rather than later. Most noteworthy is that vehicle chassis given a 15 year life span at some airports. With the rise of electric vehicles, buses, tugs to Fod cleaners, many existing vehicles will suddenly find themselves on a very limited life span. Helsinki Airport is already climate neutral, others will have to follow, and follow quickly. Leasing simply will help the Capex to go further , and enable both airports and GSE companies to comply quicker. Furthermore, with all business, you can either stand still and cross your fingers or move forward. However, for a modern airport, no matter what size or passenger footfall, growth is increasing. According to the latest CAA data, in Q2 of 2018, there were 611856 commercial flights in the UK, almost 79 million passengers. Above all, these will be expecting better, faster, and smoother customer journey. And to be blunt, that will come at a cost, putting Capex under increasing pressure. Almost all airports use leasing or finance to help them spread their payments for equipment both airside and landside. The challenges for any airport now are maintaining growth, safety, and profit. All of these come with a financial cost. Capex is always under pressure, and items from improved security, through to GSE equipment airside can be placed on leasing or finance. Therefore enable spreading the cost over an agreed period will relieve pressure on capex, and freeing up working capital for other projects. Suppliers like Fluid Transfer have found leasing very useful for overcoming the lack of Capex expenditure in airport budgets. A leasing solution helps to have your equipment delivered today, and not tomorrow. Oak has financed de icing equipment for aircraft, both in the UK as well as in European airports, and ground handling equipment which included both aircraft tugs and generators and aviation fuel tankers. We are able to lease all ground support equipment, from passenger bridges to apron equipment, providing leasing solutions for busy airports with high operational turnaround pressure. Leading GSE companies have chosen Oak as their leasing partner, such as 247GT . They specialise in GSE equipment both in Europe as well as the UK. They offer our innovative airport equipment leasing and finance option, which enables their customers to spread the cost over three or five years, helping to reduce the initial “cost per push back” and making a “cost effective aircraft turnaround” . As with all airport runway machinery, equipment leasing or equipment finance is the route that airports choose to use to acquire the use of crucial equipment, be it fire tenders, tugs, or general GSE equipment. As growth returns to the aviation sector, after a period of perhaps standing still, the requirement for airports to expand and renew both passenger and cargo terminals is growing. With many European banks slow in offering their support for such enquiries, Oak Leasing is pleased to help fill the funding gap this has left behind. The option of standing still is not an option, standing still in reality is slowly going backwards. It is crucial to keep investing in new equipment and services, to attract both the airlines, with speed of turn-around, which increases airport revenue, and increased passenger growth. The pressure on airport infrastructure and GSE equipment is growing, as air traffic is set to double in the next 20 years. The greater the footfall, the greater the profit generated. The two approaches that airports are looking to are the Dual till and single till business models. Both require large capital investment, with one providing a better return on investment and capex. Together with a modern terminal, this will increase capacity, operating efficiency, and environmental sustainability with new efficient equipment. If you wish to discuss any funding projects that you or your customers might have, please just give us a call, or we look forward to meeting with you in Munich. What GSE Equipment can you lease? Concessionaire shop and restaurant fit-outs etc.